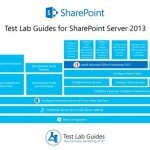 Microsoft is releasing a lot of free material for SharePoint Server 2013 on Microsoft Download Center . The Microsoft Download Center is actually a Gold Mine of knowledge, however the problem is, no-one knows it’s there. I decided to make a tour of most of the e-books, worksheets and models released by Microsoft to make it easier for you to find them. I will just show them to you as a big list, if you want more information click on the link. I marked this as Part 1 because I will try and search on-line every month and bring you the best material on the internet. Dear Vlad I am looking for a Self-study Pdf / videos (free) for SharePoint2013 Server Core Solutions & Advanced Solutions , I want to write exams 331 & 332 , but I cannot find a resorce to download the content foe me to study. Hello, for free stuff you can always look on Channel9, or get a trial of Pluralsight and watch the videos :). I am really happy you liked it! Part 2 is coming out today! 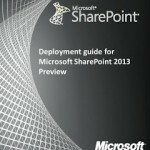 Please help……where can I find the book for “installing and configuring microsoft sharepoint server 2013”?